Scientist, conservationist, educator: after working over forty years with wild orangutans in Tanjung Puting National Park in Central Indonesian Borneo (Kalimantan Tengah) and establishing the first orangutan rehabilitation and release site in Kalimantan, Dr. Biruté Mary Galdikas is the world’s foremost authority on orangutans. More: Dr. Galdikas has her own instagram account and her own twitter account here. Galdikas was raised in Toronto. After a school trip to the public library at the age of six, Galdikas went back and checked out her first library book Curious George. The man in the yellow hat and his unruly monkey made an indelible impression. After reading the colorful book several times, Galdikas had a strong sense that her life’s work would involve animals and exploration of wild places (but without the yellow hat!). By the time Galdikas finished college at UCLA, she had decided to study orangutans in the wild. After a lecture at UCLA she approached the great Kenyan anthropologist, Louis Leakey, and asked for his support. By the time Leakey found funding three years later, Galdikas had completed her Master’s degree and was a doctoral candidate, one of the youngest candidates ever in the anthropology department. In November 1971, Galdikas and Rod Brindamour (her husband at the time) arrived in one of the world’s last wild places, Tanjung Puting Reserve in Central Indonesian Borneo (Kalimantan Tengah). There were no telephones, roads, electricity, television, or regular mail service in that part of Borneo when the young couple arrived. Before Galdikas left the U.S., she was told by her professors and other doubters that it “couldn’t be done.” They predicted that it would be virtually impossible to study orangutans in the wild. Orangutans were simply too elusive and wary, living almost entirely in deep swamp forests, moving noiselessly through the high canopies of these forests. One professor warned Galdikas that it might be ten years before she even saw a wild orangutan in the jungles of Borneo! 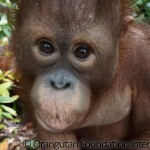 As it turned out, Galdikas and Brindamour saw wild orangutans during the first week of their arrival in Tanjung Puting. Before Galdikas left the U.S., she was told by her professors and other doubters that it “couldn’t be done.” They predicted that it would be virtually impossible to study orangutans in the wild. Four years later, Galdikas wrote the cover article for National Geographic Magazine, bringing orangutans widespread international public attention for the first time. The article was illustrated with Brindamour’s vivid photographs. Several photos were of wild orangutans, the best photos of this elusive species ever taken in the wild up to that time! A second National Geographic article featured her son, Binti, and an orangutan named Princess on the cover. At about the same time the National Geographic Society filmed a television documentary on both Galdikas’ and gorilla researcher Dian Fossey’s work. Galdikas was the first to document the long orangutan birth interval which averaged 7.7 years at Tanjung Puting. She recorded over 400 types of food consumed by orangutans, providing unprecedented detail about orangutan ecology. She also helped elucidate the nature of orangutan social organization and mating systems. She observed flanged adult males in combat, consortships, and even wild orangutans giving birth. It was the most complete record of wild orangutan behavior ever recorded. In 1978 she received her PhD in biological anthropology from UCLA. After 40 years in Tanjung Puting, now a national park, Galdikas has conducted the longest continuous study by one principal investigator of any wild mammal in the world. Galdikas was also concerned with the conservation situation from the very beginning. A week after arrival she set up the first orangutan rehabilitation and release program in Kalimantan. Although the first release site was at Camp Leakey, over the years the program expanded to multiple sites and ultimately led to the release of over 450 wild born ex-captive orangutans into the wild. Since the 1990’s the program is housed at the Orangutan Care Center and Quarantine where currently 330 ex-captive orangutans reside. 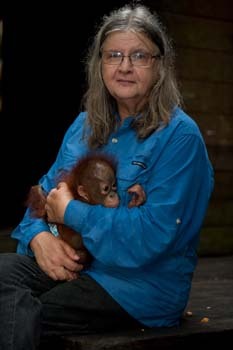 To support her work at Camp Leakey and the Orangutan Care Center and Quarantine, and to help support orangutans and their native habitats wherever they may be found, Dr. Galdikas and her colleagues set up Orangutan Foundation International (OFI) in 1986 with its home base in Los Angeles, California. Dr. Galdikas and her husband, Borneo Dayak native Pak Bohap bin Jalan, were also instrumental in establishing sister organizations in Australia, Indonesia, and the United Kingdom. A Lithuanian bank, Ukio Bank, established the Biruté Galdikas Ecology and Support Foundation in Vilnius, Lithuania, to support Galdikas’ work and to increase awareness of conservation in Lithuania. 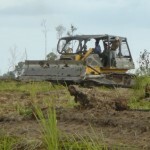 In January 2011, Dr Galdikas and colleagues established Orangutan Foundation Canada (OFC) to enable Canadians to support orangutan conservation and care. From March 1996 through the end of March 1998 under a special decree, Galdikas served as a Senior Advisor to Indonesia’s Ministry of Forestry on orangutan issues. In June 1997, she won the prestigious “Kalpataru” award, the highest honor given by the Republic of Indonesia for outstanding environmental leadership. She is the only person of non-Indonesian birth and one of the first women to be so recognized by the Indonesian government. The author of scores of scientific articles and reviews, Galdikas has published four books, including her autobiography, Reflections of Eden. Galdikas has also co-edited scientific volumes and served on the Editorial Board of one primatological journal and as Book Review Editor for another. Recent documentaries include Kusasi, From Orphan to King; the Mel Gibson narrated film, The Last Trimate; and the IMAX film, Born to be wild 3D, narrated by Morgan Freeman. 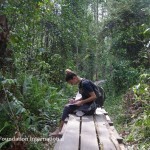 Today, the situation facing wild orangutans is far more complicated than when Dr. Galdikas first began her studies. As a result of poaching and habitat destruction, viable orangutan populations are on the edge of extinction and could be gone within the next 20 years. Understanding is the first step to action. 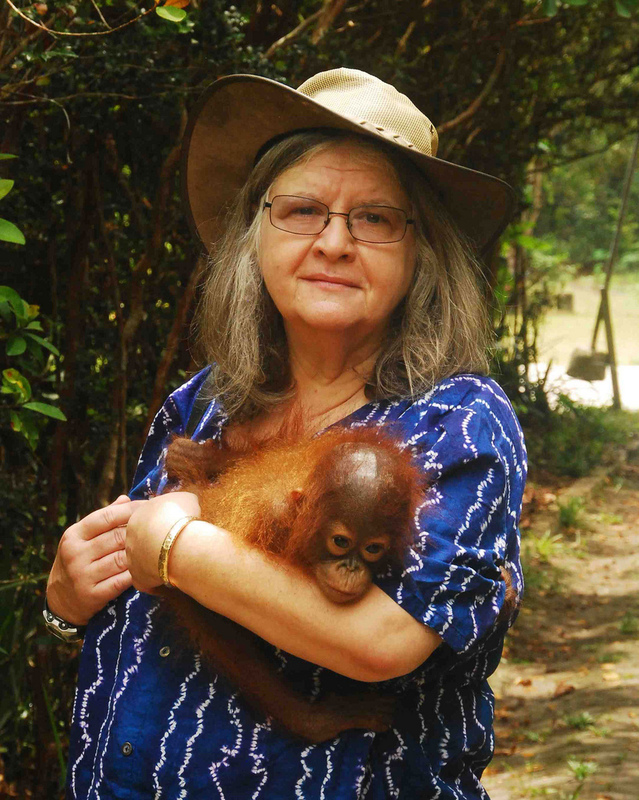 President of OFI, Dr. Biruté Mary Galdikas has studied orangutans longer than any other person in human history and has worked ceaselessly to save orangutans and forests, and to bring orangutans and their plight to the attention of the world. 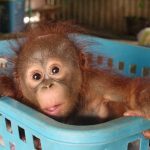 The mission of the Orangutan Foundation International Canada is to support the conservation, protection, and understanding of orangutans and their rain forest habitat while caring for ex-captive orangutan orphans as they make their way back to the forest. The Orangutan Foundation International Canada is a registered Canadian charity established in 2011. Based out of Vancouver B.C. and founded by a small group of Canadians passionate about orangutans and forests.